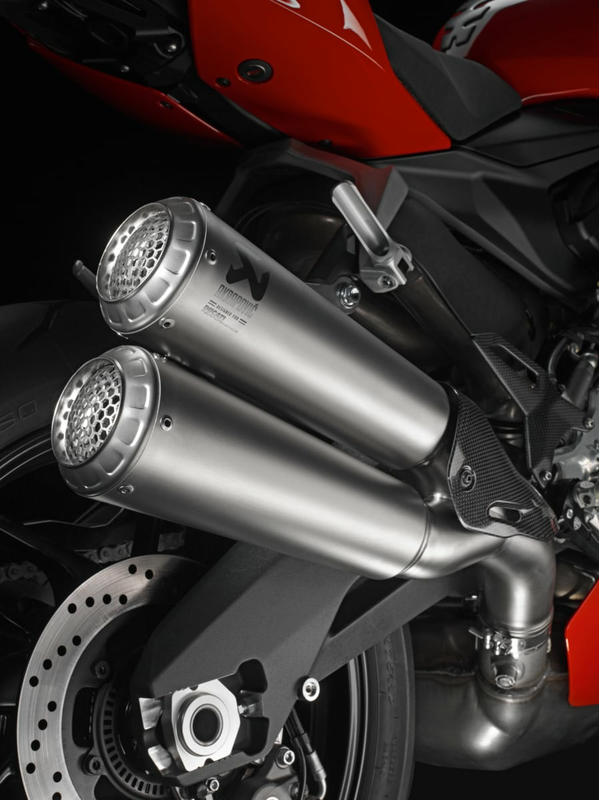 The new exhaust system is inspired by the Ducati bikes racing in the SBK and MotoGP championships. 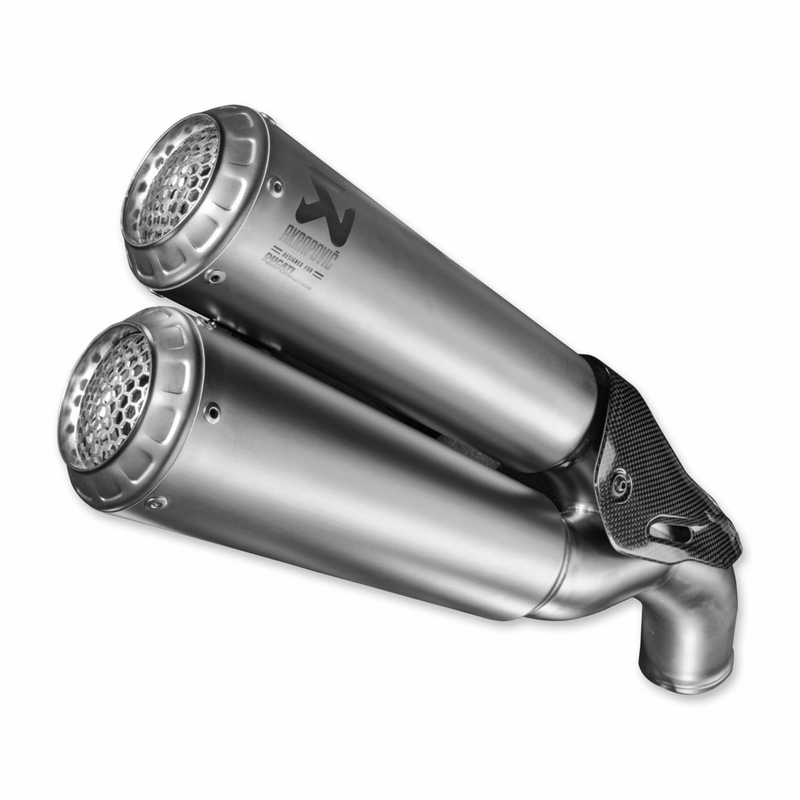 Made entirely from titanium, it ensures approximately 1.7 Kg weight saving and comes with carbon heat guard. It lends the Panigale a deeper throatier sound and converts it into a true Superbike, while staying within legal requirements. 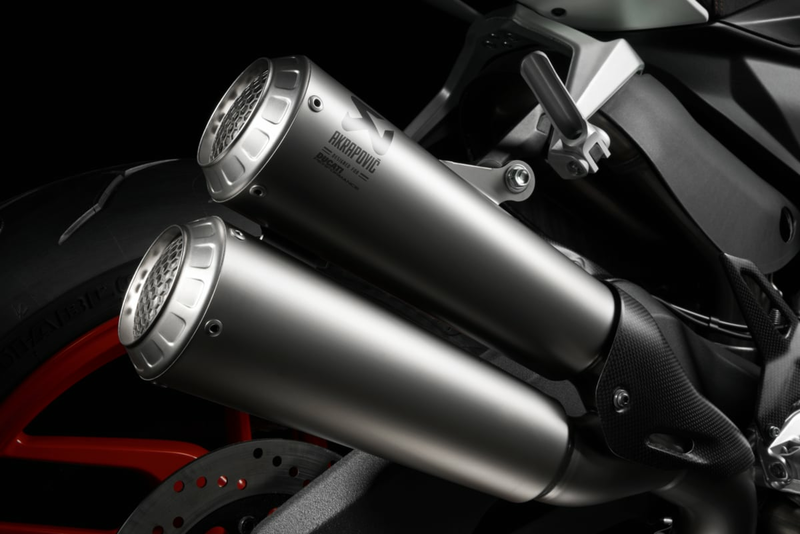 Produced in collaboration with Akrapovič.